Graves Co. Sheriff Dewayne Redmon enters the Christian County Circuit Courtroom on Wednesday, Sept. 5. 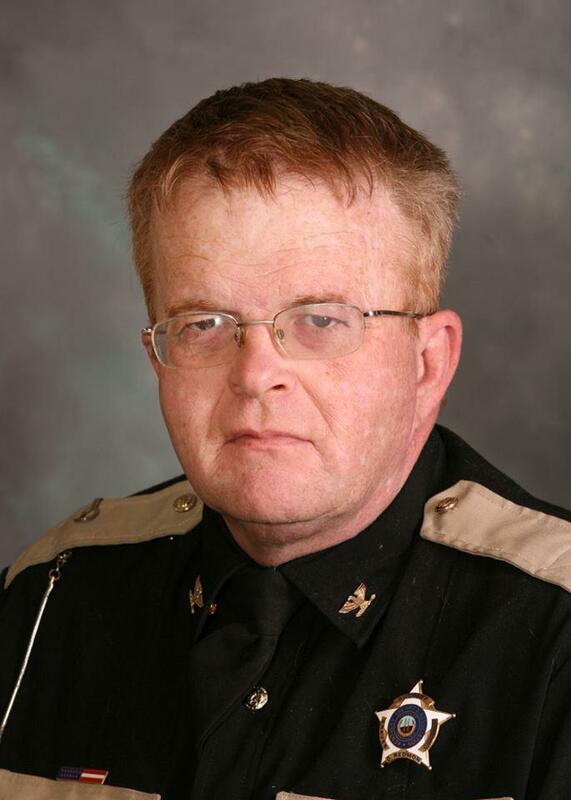 Graves County Sheriff Dewayne Redmon has pleaded not guilty to charges of first-degree possession of a controlled substance and first-degree official misconduct. Redmon appeared in Christian County Circuit Court for an arraignment today (Wednesday). According to an indictment, Redmon took controlled substances from a drug drop box for personal use. Standard procedure requires drugs placed in the box to be destroyed. He allegedly possessed Hydrocodone. Kentucky State Police received a drug-related tip in July and opened an investigation. Christian County Circuit Judge John Atkins presided as a special judge in this case. A pre-trial conference is set for November 7 at 11 a.m. in Christian County. "Any pre-trials we have will be here unless your client wishes to resolve the matter by entering a plea of guilty, which I will come to Mayfield to accept," Atkins said. Commonwealth's Attorney J. Zachary Greenwell said he wanted to formalize as a bond condition that Redmon not return to the office. "Of course this case is unique, in that we have a sheriff that's standing charged with offenses and made some statements that he has some substance abuse issues that he's dealing with." Greenwell said. Atkins said there's "a lot of folklore" with what can and can't be done when a sheriff "finds himself in a predicament like this." He said he could find no statutory authority by the court to remove a sitting sheriff at this point. "I don't intend to impose any burdensome conditions on him," Atkins said, "But I do insist that he make himself available for proper booking procedures by Kentucky State Police." Atkins said Redmon's "self-imposed exile" from the sheriff's office is "prudent" and said he should be restricted from having weapons while this matter is pending. He ordered Redmon to turn over his weapons to the chief deputy or someone else in authority. Redmon can continue with administrative duties, the judge said, such as collecting taxes. He has, however, restricted Redmon's ability to do law enforcement activities. "My concern is that he not be involved in any of the law enforcement responsibilities attributable to the sheriff," he said, including carrying a weapon. Defense attorney Bryan Wilson said he would work with Greenwell on an agreement along those parameters. "Sheriff Redmon is the sheriff. He respects his department," Wilson told local media. "He truly does care for his employees. He would like nothing more to be back up there, working." Wilson would not describe Redmon's health issues, but said this legal process has been a "shock to his system." But, Wilson noted, "I think he looks better. He's feeling better. He would like to get this behind him." He said Redmon will be treated like anyone else in the Kentucky State Police booking, with his photo and fingerprints taken. Deputies are filling in during Redmon's absence. Wilson said the current chief deputy is Davant Ramage.